An ecosystem is a group of plants and animals and the environment in which they live. 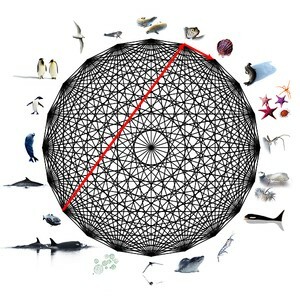 It also includes the many relationships connecting these organisms, allowing them to survive in their environment. Some relationships are simple, like those between a predator and prey or two species that compete for the same food. Others are more complex, like a link between a predator and its prey's prey. All these organisms are interconnected by a grand play of checks and balances - essentially the ecosystem functions as a single organism. Damage to one part of an ecosystem (like removing a top predator by commercial fishing) will be felt in a multiple of ways, inevitably changing the overall natural balance. Often these effects are difficult to anticipate or understand. In too many cases, by the time we understand our effect on an ecosystem, it's too late. Our damage may be irreversible. 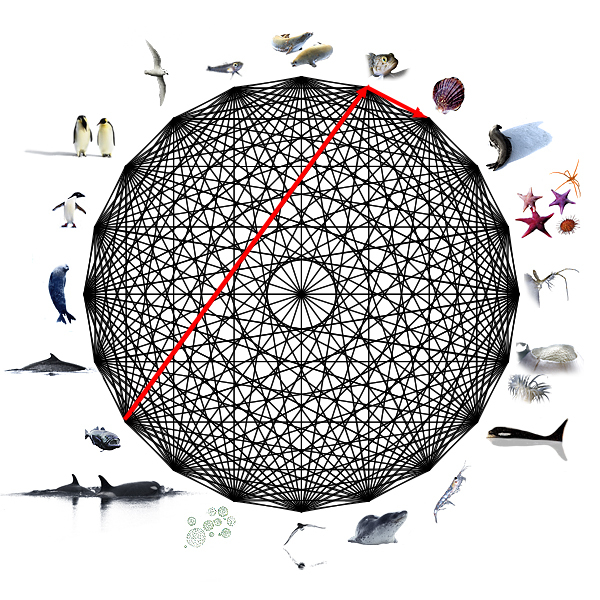 The animals of the Ross Sea are linked in a complex web of relationships. © John Weller. 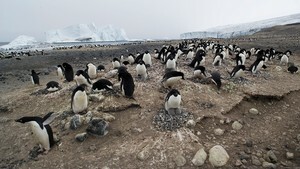 Adélie penguins nest in large colonies in the Ross Sea region. © John Weller.